Urdu1 Pictures, Filmwala Pictures and Excellency Films in collaboration with 021 Nights launched the official music of “Na Maloom Afraad 2”’ the most anticipated film of 2017 on Saturday, 5th August. It was a star studded event attended by the leading celebrities from film, fashion and television industry who came in full support and danced their heart out on the newest party anthem song “Chal Hug Day”. 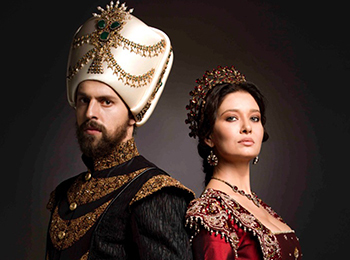 Kösem has been the all-powerful Valide Sultan and regent to her son Sultan Murad IV for nearly a decade, when the military unrest causes the latter to deprive her of her authority and the two clashes. With the control of the state fully in his hands, Murad sets his plans of restoring the empire to the times of prosperity and conquest and checking corruption in motion. At the same time, the Hungarian princess Farya Bethlen seeks refuge at the Ottoman court and the instant attraction between her and the Sultan causes reactions. A strain is also put on Murad’s relationship with his sister Gevherhan after the execution of her husband, as well as in hers with their mother, when she eventually opts for love instead of power games. Their half-brother and Crown Prince, Bayezid, though loyal himself to the sultan, is drawn in conflict too, due to the ambitions of his mother, Gülbahar, who has been long obscured by Kösem; all the while the other princes’ and infidels’ agendas remain unknown and anti-Ottoman sentiments and plans resurface in the West. FIlmwala & Urdu1 Pictures are back again with NA MALOOM AFRAAD 2 this Eid ul Azha to entertain people as the trio of Na Malom Afraad meet in South Africa after a gap of three years. What follows next is a roller coaster ride never witnessed in Pakistan before. Copyright © 2018. Alliance Media FZ-LLC Dubai. All rights reserved.